Citroen Peugeot Japon Co., Ltd. (Headquarters: Shibuya-ku, Tokyo: Ueno Kunihisa) is March 12 (Sat) to 11 (Sunday) to Tokyo Big Sight (Koto Ward, Tokyo) held that “the 42nd Tokyo Motor Show 2011″ in the latest three Peugeot cars (one, two reference exhibit) will be exhibited. 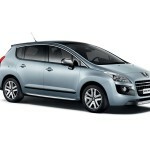 Featured exhibit booth Peugeot vehicles, Exhibit, and the first time in Japan model “3008HYbrid4″ is. The model diesel engines (2.0 liter HDi FAP/120kW (163ps) and motor (27kW maximum output) combines the world’s first “full hybrid” is a production car. Peugeot improved fuel economy and CO2 emissions. reduction, as the engine can be equipped with the latest generation Stop & Start technology and Peugeot, diesel was adopted. The functionality and performance of Semashita. “3008HYbrid4″ is excellent output control by adopting a hybrid technology, modularity, and combines the feel of driving a new level, and address the needs of customers with unique high demand for cars. The model ZEV mode, 4WD mode, sports mode, which is set to auto-mode four driving modes, the driver can enjoy each driving mode is selected freely depending on driving conditions. The model in the spring of 2012, plans to begin selling in Europe. 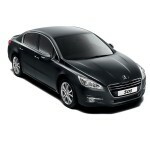 Peugeot’s flagship model went on sale in July this year, “508″ is the first production model Peugeot adopted a new design. Sales target for 2011 is estimated at 600 units, is expected to achieve sales goals and performed well almost. The model, sedan and station wagon “SW” There are two variations of the body, the engine is equipped with 1.6. DOHC inline four-cylinder with turbocharger (115kW maximum power (156ps) / 6,000 rpm, maximum torque of 240Nm (24.5kg-m) / 1,400 ~ 3,500 rpm), the combined six-speed automatic transmission. Sedan, each SW, Black fabric seats, entry-level models that are equipped with 16 in. alloy wheels “Allure (Allure)” and the black leather seat and models equipped with advanced 17-inch alloy wheels with “Griffe (glyph)” on Line up the two grades. Models will be exhibited in Tokyo, the senior grade “Griffe”, and in fine nappa leather interior use (Exhibit not introduced in Japan), a cigar leather color “Cohiba (Cohiba),” a cue from chocolate brown and has obtained. Same interior has been scheduled to be introduced into Japan in 2012. 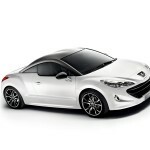 Introduced into the Japanese market last year, both the driving and sporty and dynamic exterior design flowing, compact sports coupe for the first Peugeot “RCZ”, set the left-hand and right-hand drive and is equipped with an engine different. RHD (AT 6-speed) is, 115kW maximum power (156ps) / 6,000 rpm, maximum torque of 240Nm (24.5kg-m) is / 1,400 ~ 3,500 rpm engine, LHD (MT 6-speed) to is, 147kW (200ps) / 5,800 rpm, 275Nm (28.1kg-m) is equipped with high-performance engine that generates / 1,700 rpm. The awards will be exhibited in model specification LHD, vehicles equipped with option package, black carbon roof, supple leather dashboard to “integral leather”, a special model and mounted 19-inch alloy wheels. Citroen Peugeot Japon, as well as presentation form of the Peugeot car continues to innovate for the future society through the Tokyo Motor Show, Peugeot will continue to appeal the latest models.